Another couple GREAT days here! Makenzie seems to be staying well! She still has a rash but it is looking MUCH better! She is having some tummy troubles and is having a hard time getting back up to her full feed rate. I am not sure what that is about but her reflux has been really bad the last few days! I spoke with her doctor this afternoon and we are going to up her medication a bit for the reflux and possibly put her on antibiotics to help clear her sinuses which always upsets her tummy because of the gagging and drainage! Other then that she is very happy and working really hard!!!! She had PT yesterday at home and did great! She worked on half kneel, tall kneel, and all fours. The pictures tell most of the story but what I see that you may not is that she is bearing ALL of her own weight into her arms, hands, and shoulders! She did not have any part of her upper body on her therapist and was push and holding HERSELF up all alone!!! This is amazing considering that she didn't really even realize she had hands and arms 6 months ago!!!! WOW Makenzie! Thank You God!!!! Give her another 6 months, some Stem Cells, and some intensive therapy at the Napa center and she will be crawling!!! I BELIEVE she can do it!!!! Here she is during PT at Children's doing it again! Her PT also pulled out the Pacer to see Makenzie walk! She did a great job and her therapist was very pleased!! The last time we tried the gait trainer there we spent the whole time pushing, pulling, and moving Makenzie's feet for her, all while she screamed! Today we put her in, made a few adjustments and off we went!! She is still needing some help with momentum in going forward but is also doing some by herself! Also all of the STEPS are hers! No poking prodding, or prompting! She told me that was how tons of kids start! HUGE HUGE HUGE!!!! We have a full access pass to the rides with NO waiting in line and 6 tickets to come back again this season! WOW!!! Thank You SOOOOOO much to Elitch Gardens for going above and beyond and making the amusement park one more thing we CAN do!!! I would much prefer to open and close the park, stand in all the lines, go to the bridge and get soaked by the splash of the roller coaster when I was too hot, and make myself sick eating to much cotton candy! I can't! Makenzie gets hot way too fast. She gets dehydrated fast, and overstimulated. We have about 3 hours to stay from the time we pull into the parking lot until the time we pull out. If the ride line is 45 min the boys only get to ride 2-3 rides! Once again THANK YOU!!!! It is the little things that are NOT little to this family!!! 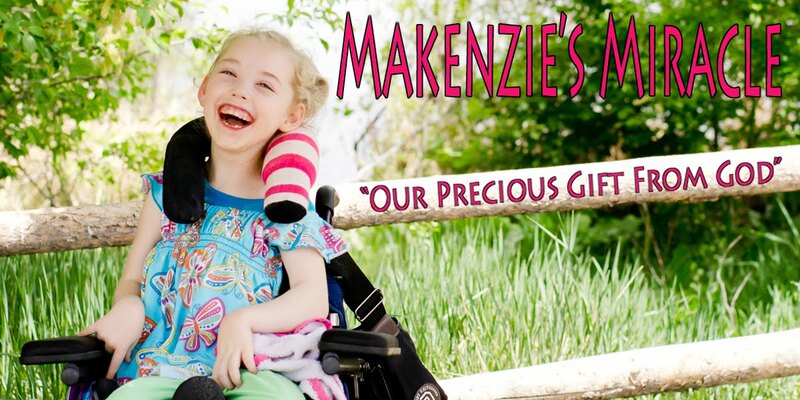 I also had another meeting with Makenzie's school this morning. I will post more about that in a later post as I have already posted a novel!! Thanks for hanging in there!!! Please keep praying!! Costa Rica is only 7 weeks away!!! Please pray for God's blessing and for the Cells to go where they need to! Pray Pray Pray!!! Believe... Prayer works!! !